Is that a bomb in your pocket or am I just terrified to see you? Have you forgotten already? The national outrage was a mere week ago. A few people may still have leftover specks of egg on their face now that the frenzy has died down and people are starting to question the true motives behind the situation. High school freshman Ahmed Mohamed was arrested last Monday after school staff and police agreed his homemade clock bore a striking resemblance to a bomb. To be fair, the clock in question does look a bit mischievous—especially if you’ve watched one too many Hollywood spy thrillers—and the online community was quick to point out it how this is more a dissembled clock than a promising inventor tinkering around with circuits and motherboards. Hollywood perception is not reality though, and in this case the adults in question should have acted with more awareness. Of course, in this day and age (italics mine)—to echo the police chief’s own words—our authority figures most of all should be the ones to realize this; to understand a situation and not go gallivanting around confiscating every suspicious looking brown person. Even if the clock was made for provocative reasons, the adults in question still handled the situation poorly. Only those who have succumbed to the intoxicating fear narrative of the 21st century would say otherwise. 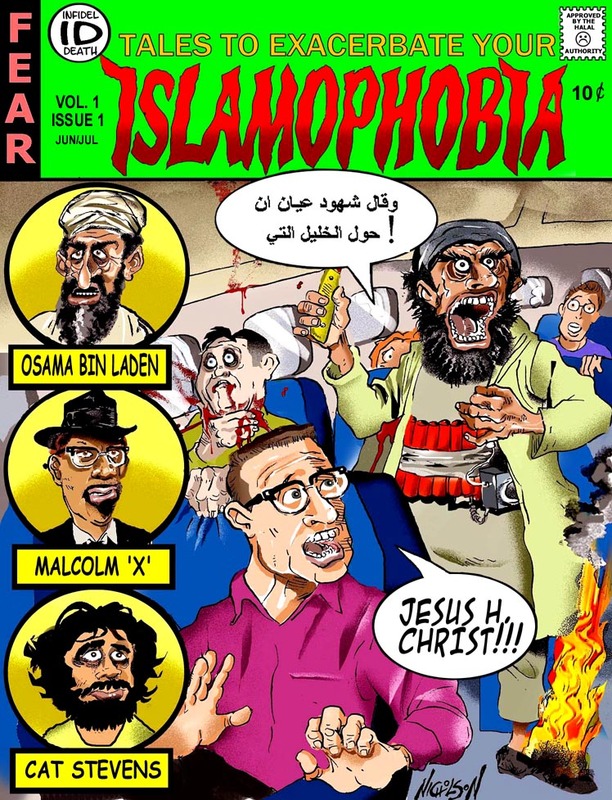 People were quick to label this a case of Islamophobia. But the police chief’s remarks contradict that notion. It’s not just Muslims who aren’t allowed to bring those nefarious contraptions to school, it’s children of all ethnicities. The police would gladly haul off any child in the same circumstance if not to make everyone feel a little bit safer—it’s their job after all. It is merely an effect of our country’s mass hysteria. This is not a case of racism; it is a case of fear. This has nothing to do with “pernicious stereotypes” as White House press secretary Josh Earnest—with his morbidly ironic namesake—or any of the other social-justice-warrior dopes on Twitter would have you believe. It has everything to do with the fear and paranoia inundated into our culture due to the events of September 11, 2001. Fear is color blind and it has permeated the American Subconscious. When most people see something like that they are going to panic. Preternatural instinct takes hold and the worst is assumed because the worst is expected in this day and age. The government and media are always looking to scare the common folk into submission. Our citizenry is playing right into their fear-mongering hands. Accusations and assumptions are flung willy-nilly and if you dare defend the accused then you might just well be complicit with them. You have to choose your side carefully in these matters. It strikes at the more deeply rooted issue—the terrorists live amongst us. Hidden in plain sight, as it were. They could be anyone of us. You. Me. Your neighbors, your friends, your relatives. Young, old…white, black, brown. Terrorism is ubiquitous. We must be ever vigilante to an ever present threat. Danger lurks around every corner, hidden beneath every table, festering inside every classroom and innocuous pencil box. Keep your eyes open comrades and report every potential offense to the appropriate authorities, you can never be too careful. But remember most of all: stay scared.